PLEASE NOTE – DUE TO CIRCUMSTANCES OUTSIDE OUR CONTROL THIS EVEN HAS HAD TO BE CANCELLED. 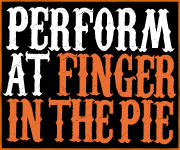 ALL TICKETS WILL BE REFUNDED IN FULL AND COMPLIMENTARY TICKETS OFFERED FOR A FUTURE FINGER IN THE PIE CABARET NIGHT. 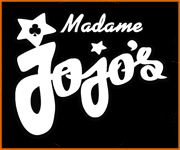 To celebrate an absolutely fantastic summer of festivals we’ll be throwing a party at Madame JoJo’s on Sunday September 1st. 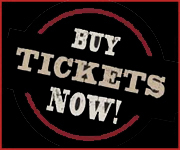 We’ll be bringing the eclectic spirit of the Edinburgh Fringe to soho with a night of cabaret, burlesque and variety. Including some of our good friends from the Fringe! Acts include comedian Dana Gartland, sultry songstresses Sadie Sinner and Madame Señorita not to mention burlesque beauties Lady May, Ginger Cupcake, Miss Amarettease and Tigerlily Wolf. Not to mention several secrete guest stars from this summer’s Fringe, all hosted by the indefatigable Michael Twaits. And as a special thank you to everyone who made this summer’s Ediburgh Fringe such an amazing event we’re offering free entry to anyone with a 2013 Edinburgh performer, press, staff or venue pass. Just show it at the the door for free entry. Ginger Cupcake and her good friend Miss Amarettease have fallen on hard times, spending all their money on glitter and Prosecco, but their act is suffering as a result and there’s nothing left in the pot for new Louboutins – how can the pair live up to their idols Marilyn and Jane, and does it really matter anyway? Tigerlily Wolf is a 50s lovestruck girl dreaming of her poster boy and getting awfully hot and bothered in the process, featuring some tantalising vocals and a sensual strip. The Spanish lady Madame Señorita came to London so she could be famous as a singer. But lately staying focused has become a struggle for her, because she often gets distracted thinking that she may have found her true love amongst the members of the audience, and she will use any possible strategy to prove she is right. Cheeky ingenue Dana Gartland lines up the giggles with a naughty smile. The Songbird is back with her hypersexualized performance of sinfully sensual blues classics. With dreams of becoming a glamorous showgirl, Lady May’s father packed her off to naval officer college to rid her of sequins & silliness, but she did not allow those dreams to be quashed entirely….